Bannon seemed to be referring to the fact that if Democrats were to retake a simple majority in the House of Representatives in November, they could potentially push for a vote on whether to impeach Trump. Even if the House were to vote on and approve impeachment, a two-thirds super-majority of senators would have to convict the president for him to be removed from office, which has never occurred in U.S. history. Democratic leaders in Congress are not openly casting the midterm elections as a decision on impeachment. 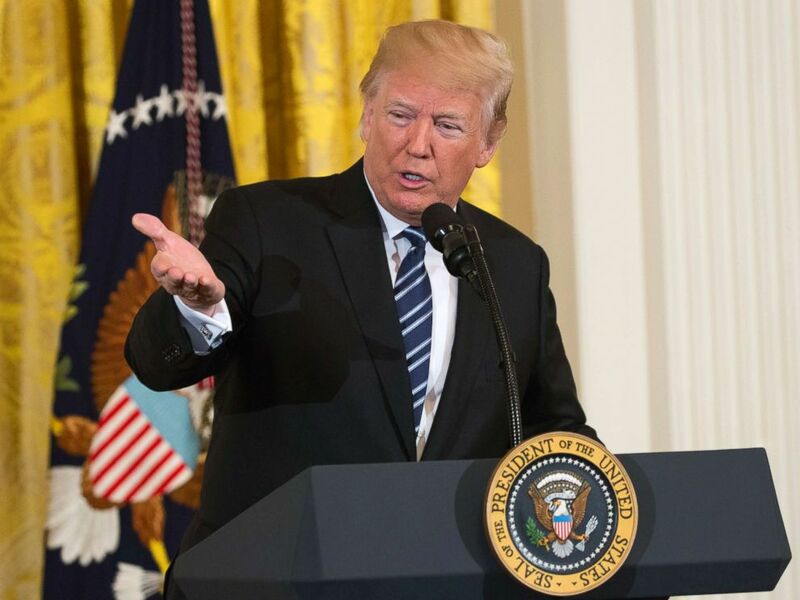 President Donald Trump makes remarks at the Prison Reform Summit at The White House in Washington, D.C., May 18, 2018. Bannon said the secret to GOP victories in November is for candidates to act as if Trump is "on the ballot." "It's very simple, November 6th, up or down vote ... up or down vote on the impeachment of Donald Trump. I'll tell you what, you get to then look at ... the growth of the economy," he said. But Bannon also said on "This Week" that Republicans should not run on their recently-passed tax cut if they want to win the midterms. 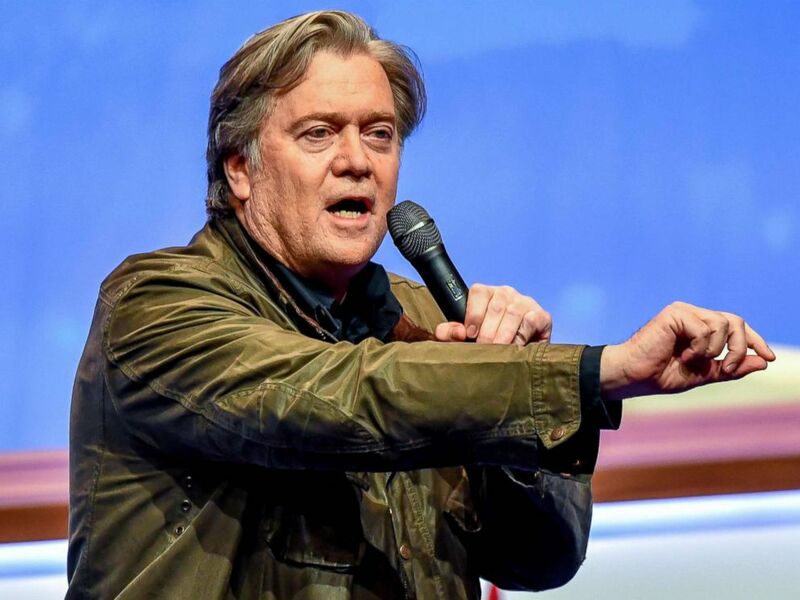 Steve Bannon gives a speech during the French far-right Front National (FN) party annual congress, March 10, 2018, at the Lille Grand Palais in Lille, France. Karl asked Bannon if that means Tennessee Republican Sen. Bob Corker is "right ... that the Republican Party has become the cult of Donald Trump?" "It's almost becoming a cultish thing, isn't it?" Corker said to reporters recently about GOP colleagues who, Corker said, didn't want to take a position contrary to Trump on tariffs. "It's not a good place for any party to end up with a cult-like situation as it relates to a president that happens to be, purportedly, of the same party." Bannon on "This Week" disputed the notion of a cultish following of the president. “No [the Republican Party] is absolutely not a cult of Donald Trump,” he said.